This course provides admissions personnel the keys to successful recruiting, including sales psychology, telephone skills, the interview, and follow-up. The course is designed to optimize the performance of both seasoned and new admission representatives. It covers the basics of the admissions process and provides proven educational sales strategies and techniques to increase enrollment and retention. This course is designed for both the seasoned and new Director of Admissions working in career education settings. 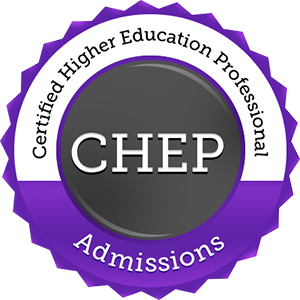 The course provides proven techniques and strategies for hiring and training successful admissions representatives. You will be able to optimize the performance of your admissions team by gaining a solid understanding of who to hire, where to find them and how to set up an organized and professional training program for your new hires. This course provides a solid and clear approach for managing the admissions department in a career college setting. Topics include proven strategies for generating and converting leads, and effective techniques for supervising admissions personnel. The course provides a basic understanding of advertising for student recruitment and discusses motivational techniques and goal setting to optimize the performance of your admissions team. Also covered are issues related to probation and termination. Whether you are a seasoned or new Director of Admissions, this course will help you to enhance the success of your department. Are you still using the traditional admissions sales approach at your school? Is it working to your satisfaction or are you looking for innovative ways to increase your conversion rates? We all know that prospective students are often suspicious of an admission representative’s motivation, sometimes even prior to speaking with the representative. The best way to avoid this common reaction to a sales approach is to simply not use a sales approach! In this course, we discuss a paradigm shift in the career college admissions process that creates a reverse sales situation where the admissions representative is the buyer and the prospect is the seller. Our proven “Inside-Out Admissions” process results in significantly improved conversion rates, including Lead-to-Interview, Interview-to-Enrollment, and Enrollment-to-Start conversions. This course will teach you the principles and strategies of the inside-out process, including the inside-out phone and interview techniques. The course will help admissions directors and representatives to increase enrollment through an effective admissions process that not only increases starts but also improves retention! This course is for institutions that are licensed by the Florida Commission for Independent Education (CIE) and participate in federal financial aid programs. The course is suggested for all school employees and provides an awareness of prohibited acts which could adversely impact operations. Topics focus on Federal Department of Education Program Integrity rules and Commission for Independent Education (CIE) regulations with references to other agencies' impact on student communications including the Federal Trade Commission guidelines. The course covers requirements which must be adhered to in order to maintain good standing with both state and federal regulators. Emphasis is on areas of misrepresentation related to advertising and recruitment activities, interactions with prospective students and appropriate communication of disclosures and other publications. This course meets CIE's annual training requirement for admissions staff and is recommended for trainees who have completed CM201 and CM221. By using this course, schools do not have to create their own training program for approval. In addition, this course provides 4 hours of continuing education approved by the Commission.